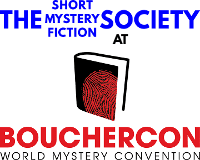 Bouchercon, the World Mystery Convention, took place October 8–11, 2015 in Raleigh, North Carolina, at the Sheraton Raleigh Hotel and the Marriott City Center. I am very grateful to the Short Mystery Fiction Society for awarding me the Edward D. Hoch Memorial Golden Derringer for Lifetime Achievement, all the more so because Ed and I were friends. He was a frequent visitor to Canadian mystery events. I recall one Crime Writers of Canada awards dinner where he and I were chosen to present the Arthur Ellis for Best Novel and in my share of the remarks I wondered why it took two short story writers to do the job and I think he found that amusing. We all know his tremendous output of stories. But he was also a prodigious reader. Here our paths crossed again. I had been reading Robert Louis Stevenson’s travel writing including The Amateur Immigrant and The Silverado Squatters where Stevenson described his trip to America for his health and the long train trip across the country to California. Not long after, reading one of Ed’s stories, I saw he had been reading about that trip, too, only he had found a mystery story on the way where I had not. Most of my reading now is history and biography. Someone once wrote that the time of your father's childhood is a golden age for readers. Perhaps it is for writers, too. That would be the beginning of the Twentieth Century for me. But my principle creation, the Ambrose Ganelon family, takes me farther back into the Nineteenth. I enjoy reading about these times. But it also helps me to perform that great hat trick, the greatest fiction of all, to convince the readers you know what you’re talking about. For example, another Holmes (not Sherlock but Oliver Wendell) describes in Our Hundred Days in Europe in 1887 taking with him two new devices he thought the residents might be interested in, the safety razor and the luminous matchbox. This last handy object allowed you, waking up in the dark, to find a match to light the wall gas fixture. I had previously read, by the way, that Pierre and Marie Curie used to amuse their dinner guests by turning out the lights and passing a lump of radium from hand to hand around the table! I used the illuminated matchbox in an upcoming story in Ellery Queen's Mystery Magazine. 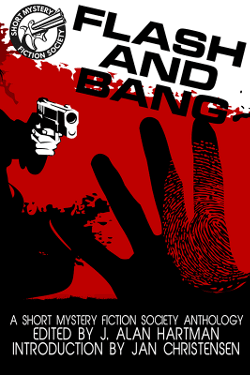 I have mentioned elsewhere that my first professional published story forty-eight years ago was based on an incident I heard about that took place in Monaco on the Riviera. But I had only spent an afternoon there and was afraid of being caught in some matter of fact, so I invented my own principality with its own history and people and streets and buildings. To date I have written some thirty or so stories about San Sebastiano, as I named it. It is said that even Homer nodded. (And I have probably nodded as many times as all the Simpsons put together.) But in case some nitpicker discovers a street that doesn't run the way in one of these stories as it does in another, I have also provided the principality with a geological fault. Thus I can said, “Oh, that was before the earthquake.” Or something equally face-saving. In the end all our stories must be too short. May yours be as happy as mine have been. Thank you again.